Looking for a Golf Course Community in Huntsville? If your idea of the perfect home in Huntsville is living on one of the beautiful and even championship level golf courses, you are not alone. There are plenty of fantastic real estate options in this area, and you may be impressed by how many homes are available on these well-maintained and sought after areas. Huntsville has plenty to offer today’s home buyer who wants the prestige and benefit of living right on the greens. But, where should you look first? The best way to find out what is available in Huntsville’s golf course communities is simply to work with a local real estate agent. Inventory changes often and these are some of the most sought after areas to call home. However, there are a few locations that really are fantastic opportunities. For example, you’ll want to check out Canebrake Club. This is a fantastic, 850-acre property that has an 18-hole championship golf course on it and several home styles you can choose from including Golf Villas, Club Cottages, and custom homes. Another good option is at Valley Hill Country Club. This is a 27-hole golf course with some fantastic champion greens. The homes here range widely but there is a practicing chipping range, a bunker green, and a putting green to enjoy. Other options include The Ledges Country Club, Cherokee Ridge Golf, and Robert Trent Golf Trail. 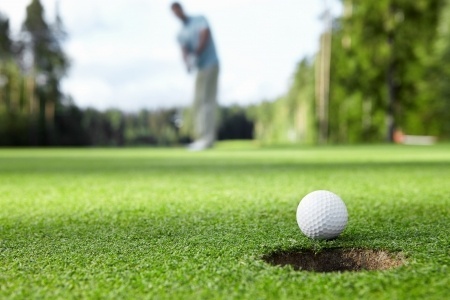 The homes within or nearby to these golf courses are often a bit higher priced than homes in other areas of Huntsville, but you get the highest quality of amenities and perfectly maintained greens to enjoy. And, many of these properties come with clubhouse access. To learn what is available to you in Huntsville real estate, work with a local real estate agent and start exploring the options.